Anyone who has ever taken sixth-grade P.E. knows the mile. Sure, a crazy few kids loved it, but most of us simply dreaded this test of fitness. And while it was no fun having your gym teacher blowing his whistle and holding that stupid stopwatch, the truth is that learning to run a mile (again -- you did do it once!) is a great goal, and one that's possible for practically everyone. Our plan alternates walking and running as you work your way up to just running. (If you want to start with a walking program, you can follow our plan here.) As is with most things in life, patience is a virtue. Stick to the plan, try to avoid skipping days, and don’t jump ahead on mileage even on the days you’re feeling like a million bucks. 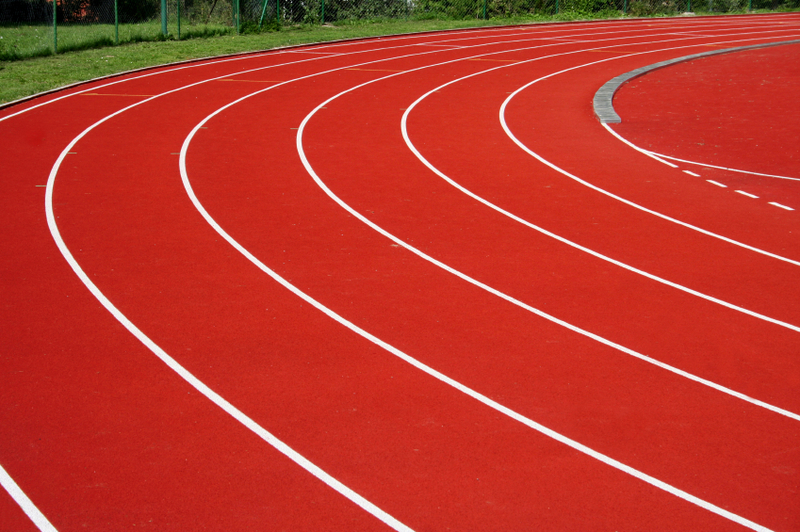 A few pointers as you begin to run again: Keep a good, upright posture; keep your eyes focused in front of you; and try to land on the middle of your foot rather than on your heels (this helps protect your knees). Don't worry if your running pace is basically the same as your walking pace; you're actually working different muscles when you run and improving your cardiovascular system (heart) when you run. As you get better, you’ll soon notice that each step takes less effort and each breath becomes easier. 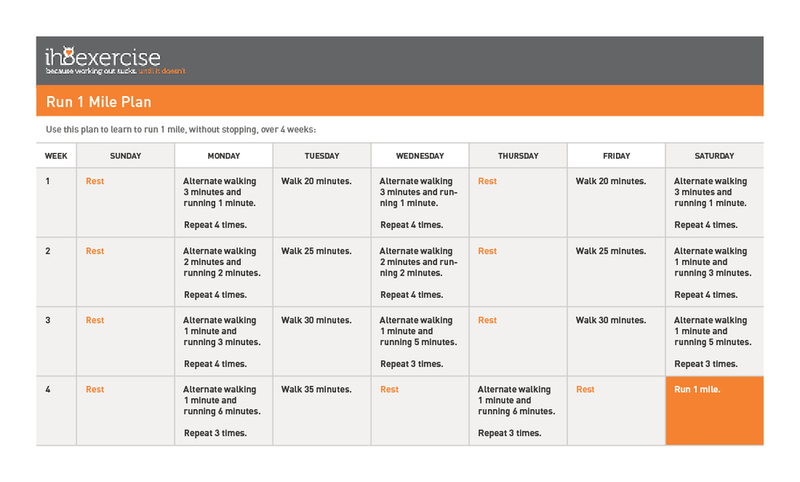 To print the Run 1 Mile Training Plan, click here. Note: This plan is for people who have completed the ih8exercise Walking Plan, or who are already walking on a regular basis three or four days a week. Here's how to keep improving if the program above is too easy and/or boring for you. Once you reach that 1-mile marker, you can continue to add mileage. Most people find they prefer to continue mixing running and walking as they approach a 5K training program. Keep alternating walking and running as you bump up your running time by 2 to 5 minutes each week and you’re well on your way to being able to call yourself a bona fide runner!